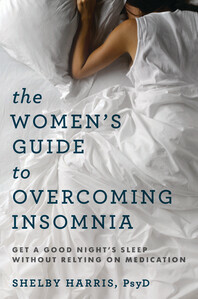 The Women's Guide to Overcoming Insomnia - Description | W. W. Norton & Company Ltd.
More than 60 percent of American women have trouble sleeping— which isn’t surprising, as they have a higher risk of developing sleeping problems. But addressing this issue is more nuanced for women than for men; pregnancy and menopause are just two factors that add complexity to an already difficult problem. At the risk of jeopardising work, parenting, relationships, or overall health, no woman can afford to deal with sleep deprivation on her own. The Women’s Guide to Overcoming Insomnia is a roadmap for those who experience anything from occasional bad nights to chronic insomnia. It outlines several methods to overcome these issues and improve physical and emotional well- being. From medical sleep aids to nonmedical approaches, the book looks beyond the basics of sleep hygiene, helping women to retrain their bodies and minds for a good night’s sleep every night.